Remembers photographer Mallori Ma, "It has been 90+ degrees here in South Carolina but we just happened to have a cool spell the weekend of Laura and Tyler’s session making it perfect to capture their engagement photos--mid 70’s in July in South Carolina? I’ll take it!" This Upstate South Carolina couple frolicked around the park as they searched for the most picturesque spots. Tyler's son brought his enthusiasm and big smile for the session as well. 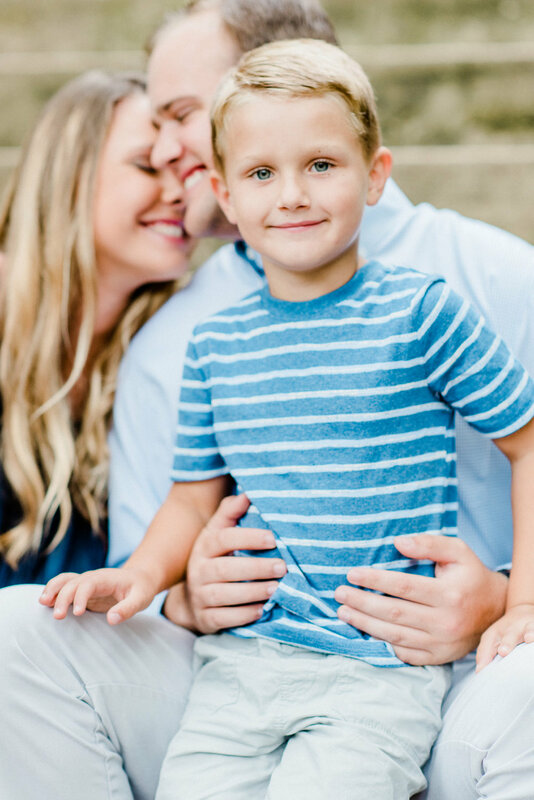 Mallori states, "When Laura and I began planning their session she wanted to make sure to incorporate Tyler’s son Rowan since becoming a family together is such an important part of their wedding." So, the three made time for some sweet family pictures amidst the fun couple photos! 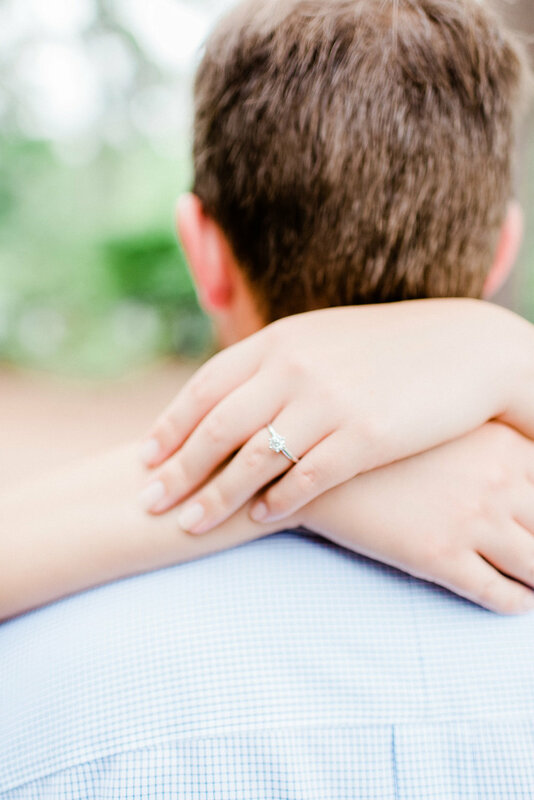 Although Rowan was happy to be a part of the Greenville engagement session, he wasn't keen on every aspect: "My favorite moment was definitely when Laura & Tyler kissed and Rowan let out a big “EWW! Gross!” says Mallori.